Sunshine theme support: Primary menu and Secondary menu. 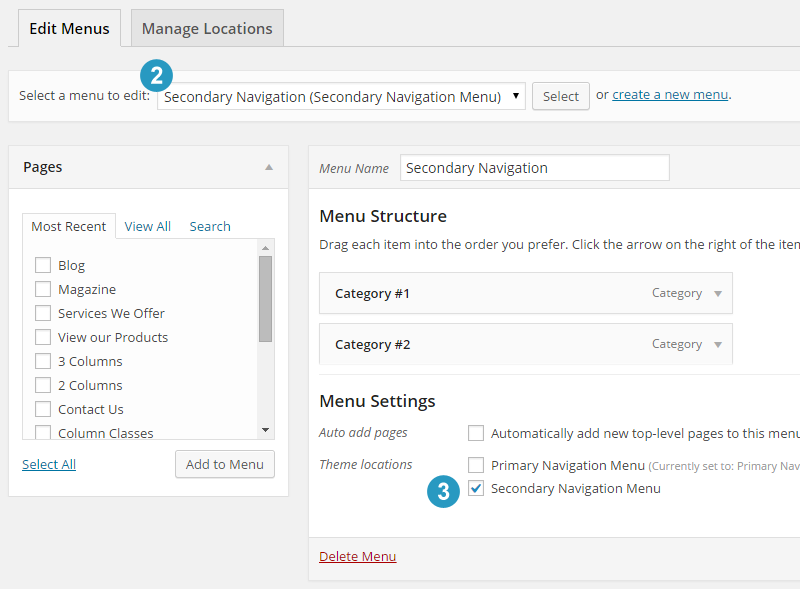 It also has “Primary Navigation Extras widget” area, where you can display variety of content. 5. Click the Save Menu button and then your selected menu should start displaying under the logo header area. 1. In WordPress Dashboard, go to Appearance > Widgets. Then drag and drop a widget of your choice to the Primary Nav Extras widget area. 2. 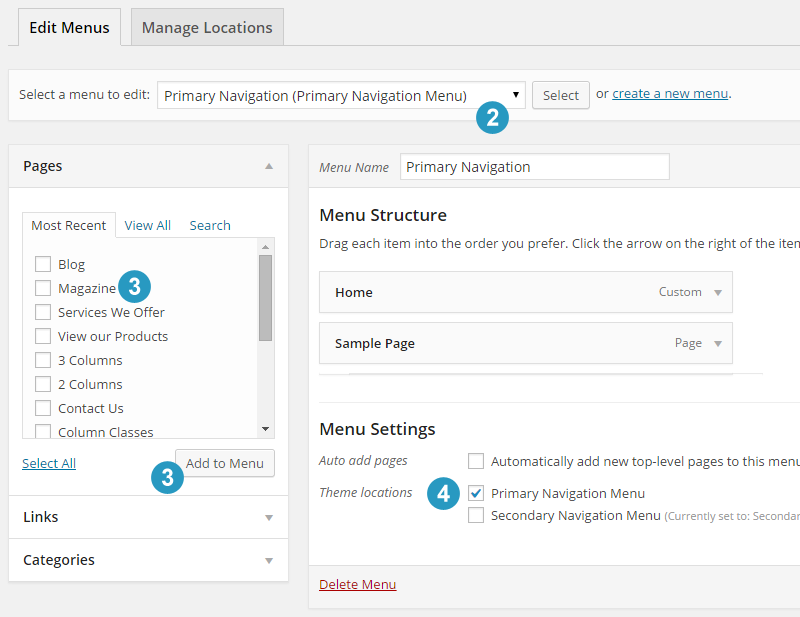 By default, contents will display right side of the primary menu items. Recommended widget types: text widget, simple social icons or Simple Pro sliding panel right widget (in Sunshine theme).